His love of entertainment led him to the Theatre and at the age of 10 landed the role of the Artful Dodger in the classic Oliver Twist. It was there that he met the amazing Albert Country Music Recording Artist Joanne Janzen who became his mentor and led him down a path that changed his life. Joanne saw Brendan’s passion and desire and took him under her wing. At that time Brendan’s main goal was to sing “I Believe” the 2008 Winter Olympic Theme Song with Joanne but was too embarrassed to tell her. Brendan’s mom Cindy let the secret out and in June, 2010 Brendan’s dream came true and for the first time he shared the stage with Joanne and gave his first public performance at a local fundraiser. The crowd gave him a standing ovation and all the ladies in the room were crying. Brendan knew from that moment that he wanted to move people with his voice like he did that night for the rest of his life. Joanne put Brendan in touch with Wes Inaba, the director of a studio called Pure Artists and from there Brendan’s love of music and performing blossomed. Pure Artists has a mandate of always giving back so Brendan began to perform regularly at Charity events throughout the region. Performing at venues such as the Run for the Cure in front of 15,000 people, to the Big Valley Jamboree and the renowned Winspear Centre in Alberta allowed his confidence to grow along with his followers. 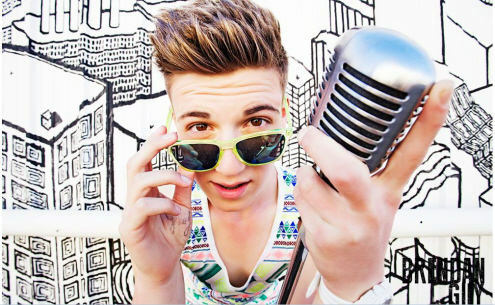 In 2012 Brendan left Pure Artists to concentrate more on vocal ability, writing and pursuing a Pop career. He met an amazing vocal coach by the name of Pattii McMath and concentrated on strengthening his voice and perfecting his sound in the Pop Genre. It was also at this time that Brendan met Dan Davidson (Tupelo Honey) and began taking guitar lessons. Dan saw the potential and drive in Brendan and offered to co-write and produce an EP for Brendan with his partner Ari Rhodes. So Brendan inked a production deal with Hands-Up! 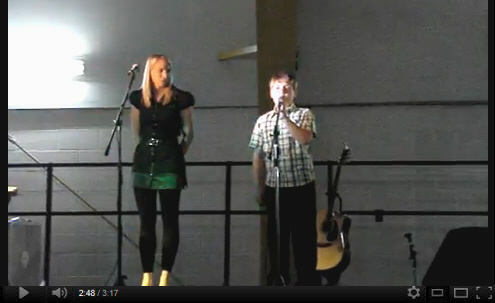 Music out of Edmonton, Alberta and recording began in April 2013. In preparation for the next phase of his career Brendan began taking vocal lessons from Darcy D (former lead singer of the Canadian Rock Band Prism). To add to his new sound, he has a new look, recorded his first full production music video, and opened for Platinum selling, Juno nominated Pop star Victoria Duffield. These words keep Brendan grounded and knowing that his fans are the most important part of this journey because without them he has nothing. Brendan recently dubbed is fans as HEROES, as to him they are his heroes, making his career possible as they give him the inspiration to keep going and never give up. Although Brendan’s dreams are coming true, he always remembers those that are less fortunate. Brendan has planned two major fundraisers to help when disaster strikes. When the devastating Tsunami hit Japan, Brendan organized a fundraiser and raised over $1000 for the cause. And just this past summer, he was part of a group of artists that came together to raise over $3000 for the victims of the Alberta Floods that wiped out entire towns. 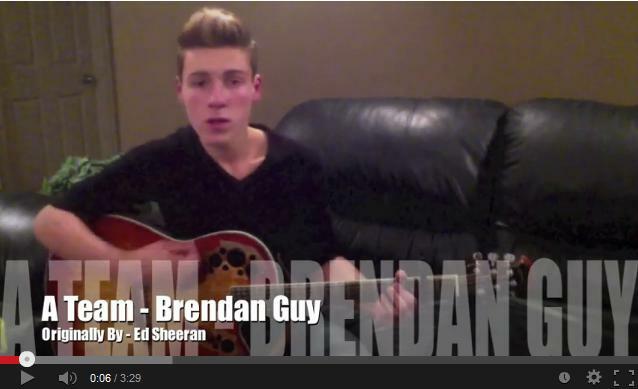 The release date of Brendan’s first single “Who I Am” is going to be announced very soon. It is shaping up to be a massive hit and Brendan is ready to show the world Who He Is! 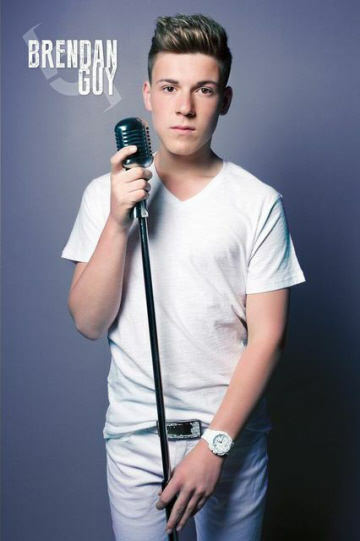 Previous Previous post: Tae Brooks The Rise Of a Teen Singing Super Star!